Many professionals and others from around the world dream of holding a green card. The process of obtaining a green card may be quite tough if you do not know how to go about it. Also, most people face barriers and obstacles in their quest to get a green card. 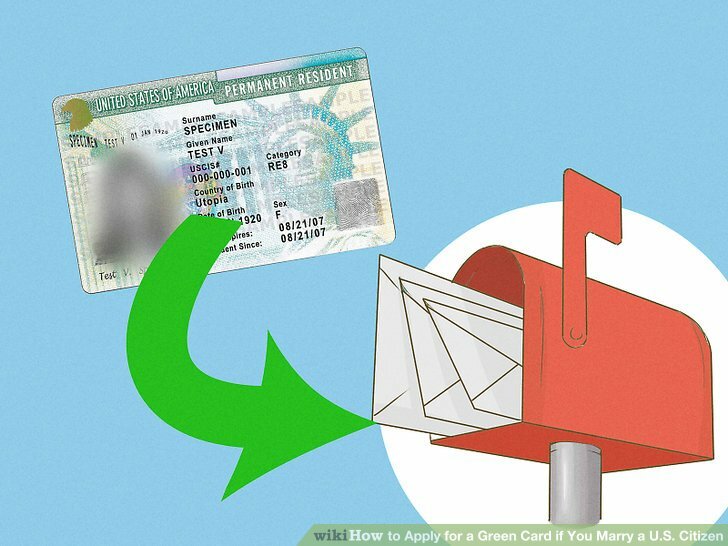 Read on to know about the various steps in the process of obtaining a green card. A green card is an authorization card provided by the USCIS – United States Citizenship and Immigration Services to an individual. Possession of the card allows you to live and also work in the United States permanently. The Green card is also said to be the Permanent Resident card or an Alien registration card. Usually the card is valid for a period of 10 years. If it is about to expire, you need to renew it to continue staying in the US. On the other hand, if you would like to become a citizen of the United States, you would have to apply for citizenship of US. You can apply for citizenship only after holding a green card for a minimum of 5 years. 4.Those living in USA on immigration visa. 7.When sponsored by employer for employment based Green card. Eligibility for the permanent resident card is based on several factors. A list of the factors that make you eligible are listed here. C. Special immigrant eligibility for religious workers and nationals of specific countries or organizations. D .Other categories of those who were given asylum in the US or refugees are eligible. Also, those with T non immigrant visa (Human trafficking victim) or a U non immigrant visa (Crime victim). E.Victims of abuse are also eligible for naturalization in the US. F.Those selected under the Diversity Immigrant Visa Program can also apply for the card. This application for adjustment of status can be done by those already in USA on other visas. There needs to be a petition forwarded by an employer or relatives on your behalf. Along with this petition, you need to submit the application. The different petitions that can be used and the form numbers are listed here. Form I-589 is an application for Asylum. While filing the above petitions, you can ask if the form I-485 can be filed along with it. If you can, then you can do so. This process is for those who are applying for green card from outside the USA. The various steps in this method of applying for green card are listed here. C. A decision on your petition will be made and then you can wait for the national visa centre to send a notification. E. You will be able to get your visa and then the green card. Concurrent filing is the process of applying for a green card with all documents at the same time. This makes the processing faster and your permanent resident card will be issued earlier. Concurrent filing can be done only on special occasions by certain people on specific visas. It is not available all the time for all types of visas. Concurrent filing can be done by relatives of citizens of US, victims of abuse from family of US citizens and immigrant visa applicants where there is availability of immigrant visa number. In Concurrent filing, the I-485 form and green card application are filed at the same time with other documents and required fees. Form I-485 can be filed only if you are an immigrant in the US who is eligible for change of status from temporary to permanent resident. This form can be downloaded from the USCIS website and filled in completely before submission. U.S. Department of State (DOS) will allocate the different immigrant visas. Usually there is a cap on the number of visas issued in each category. The family-sponsored visas given out are 226,000. The employment-based visas are usually given to 140,000 people per year. If the previous year’s allocation is not used, it may be given out the next year. The priority date for your visa is available on Form I-797, which is the Notice of Action. The time period for getting the adjusting status or the immigrant visa depends on the following factors. 1.Demand for immigrant visas in that year. 3.Number of visas allocated for your preference category. If all the above processes are done correctly, then your petition may be given initial approval, pending interview. If approved, you will need to go and get your biometrics captured. After this, you will need to appear for an interview, which will help the USCIS make the final decision of your green card application.